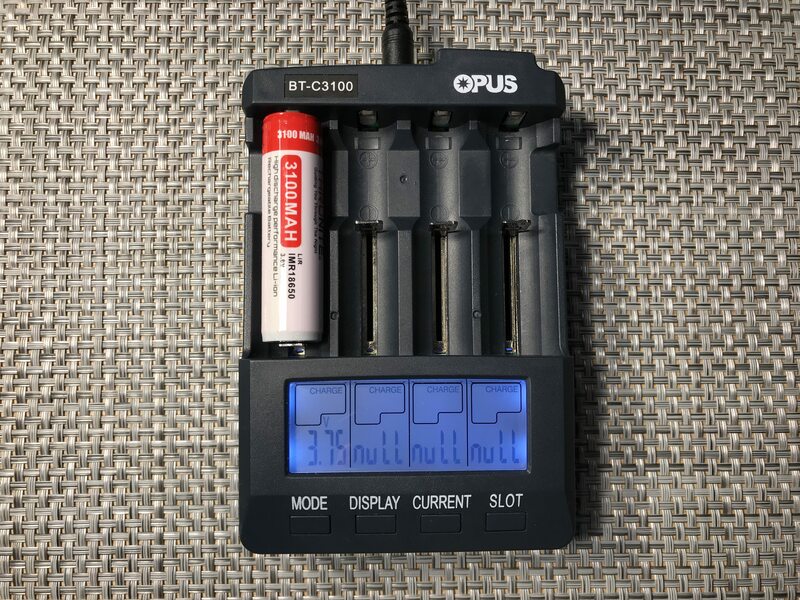 The opus BT-C3100 V2.2 is an intelligent 4 slot lithium-ion battery charger with a easily readable backlit LCD display. 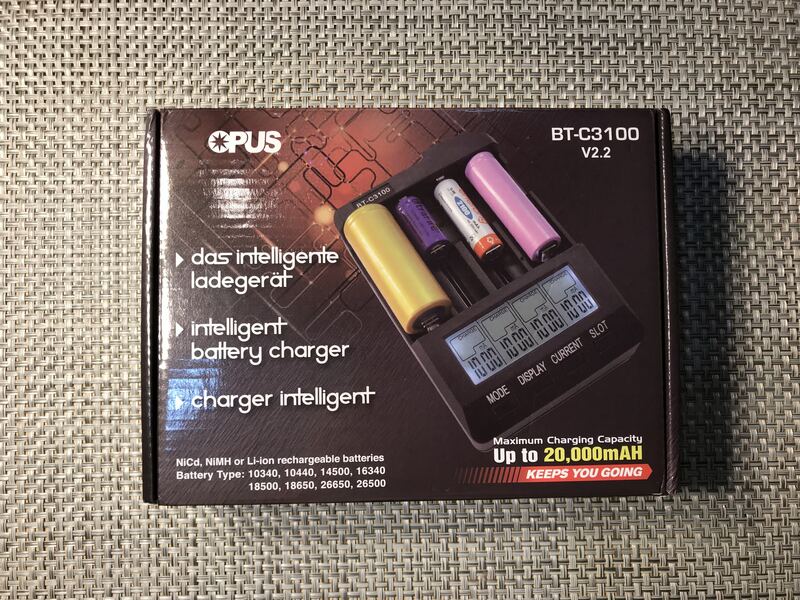 This charger supports up to 2Ax2 or 1Ax4 charging current. 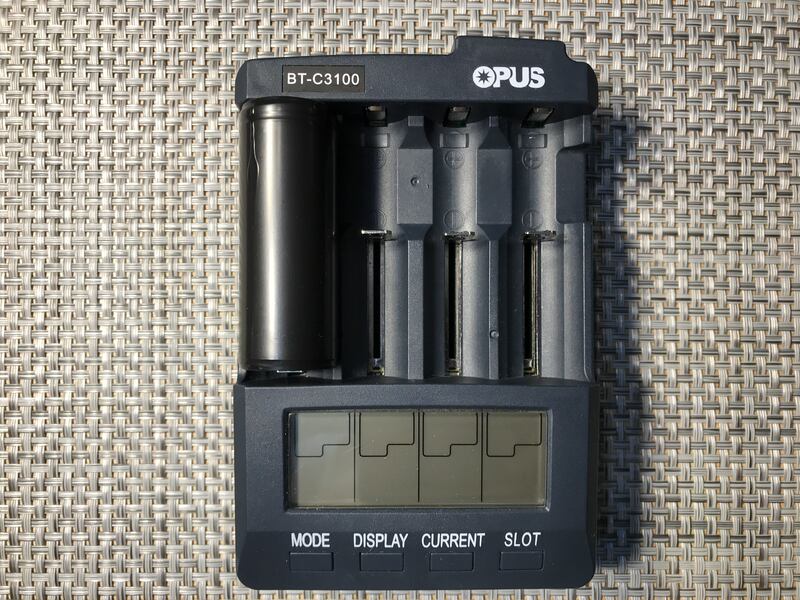 The BT-C3100 is a great choice for charging multiple 18650s at once and especially testing different cell's capacitys with its numerous functions. 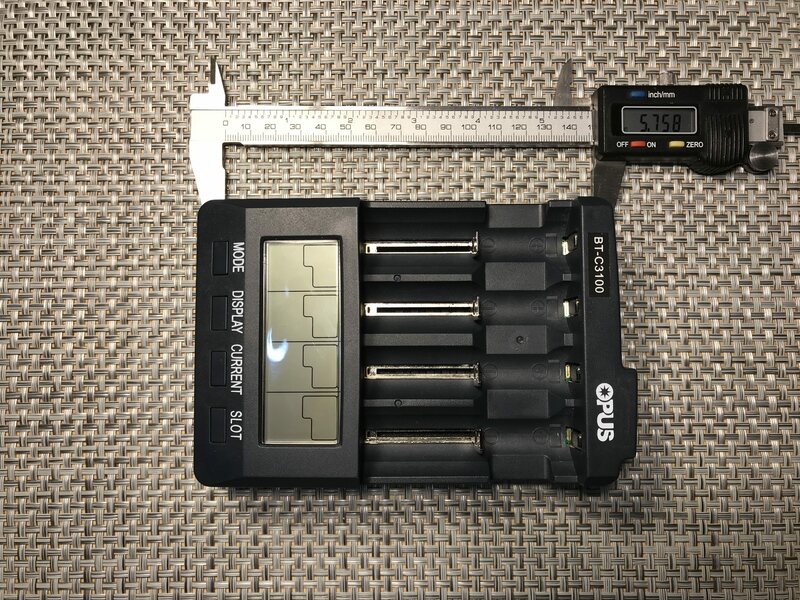 Easy to read LCD with back light Showing Battery Voltage, Charge / Discharge Current, Charging Time, Battery Capacity etc. 1. Voltage update rate is 30s instead of 60s. 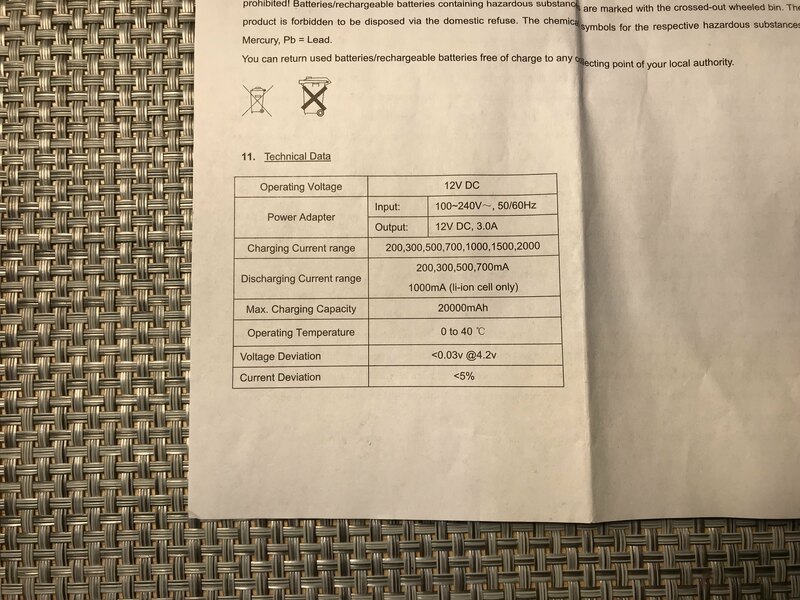 3.35V charging algorithm is changed to 4.27V. 4. New fan cover make better protection for cooling fan. 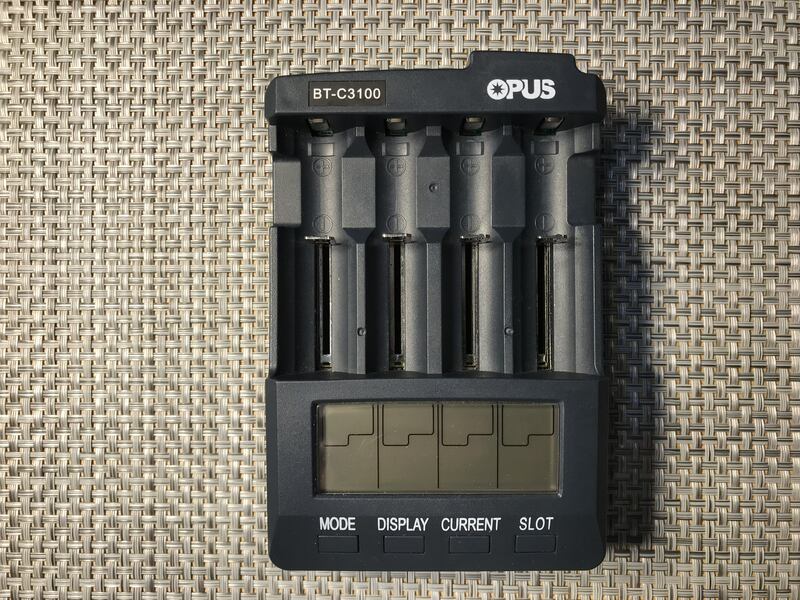 The Opus BT-C3100 is made out of ABS plastic and feels like is has a very sturdy structure and is built well. The buttons below the LCD feel very solid and have a nice click to them when used. 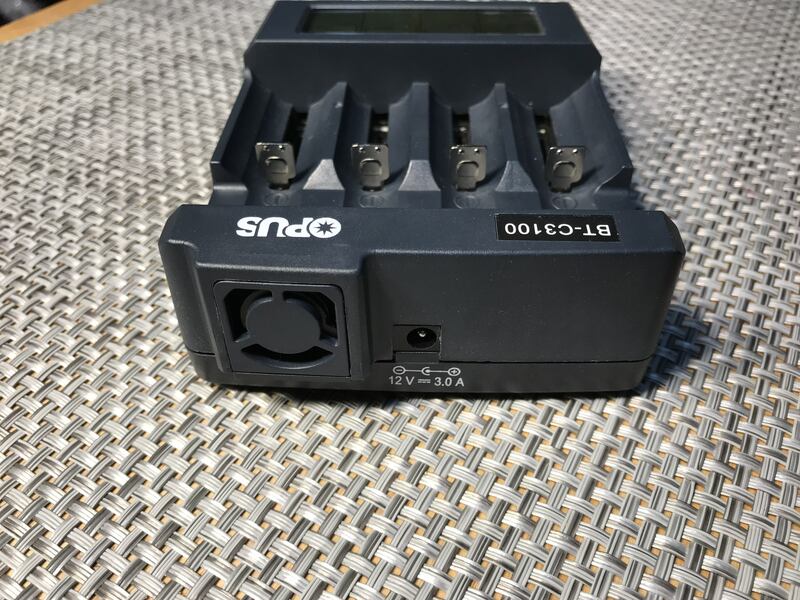 The charging bays adjustable negative poll is attached via spring which also is very strong and holds the battery in place very well. This charger holds 4 18650 cells comfortably and is very easy to extract them from the bays when they are done charging. Protected versions of all compatible cells fit snugly inside the charger except for protected 26650's. The unit has 5 selectable modes including Charge, Discharge, Test, Quick test, and Refresh. Charge Mode: The rechargeable battery is charged up to its maximum capacity. 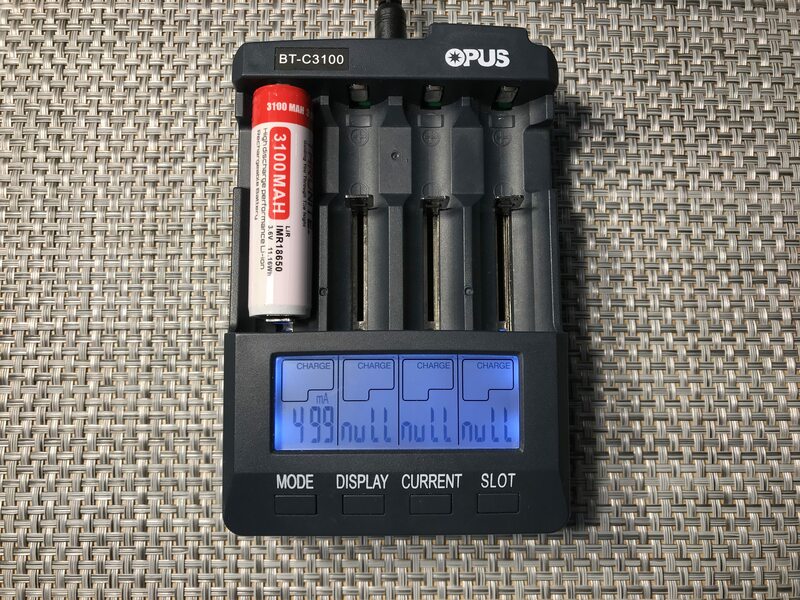 Accumulated charging capacity is displayed at mAH display mode. 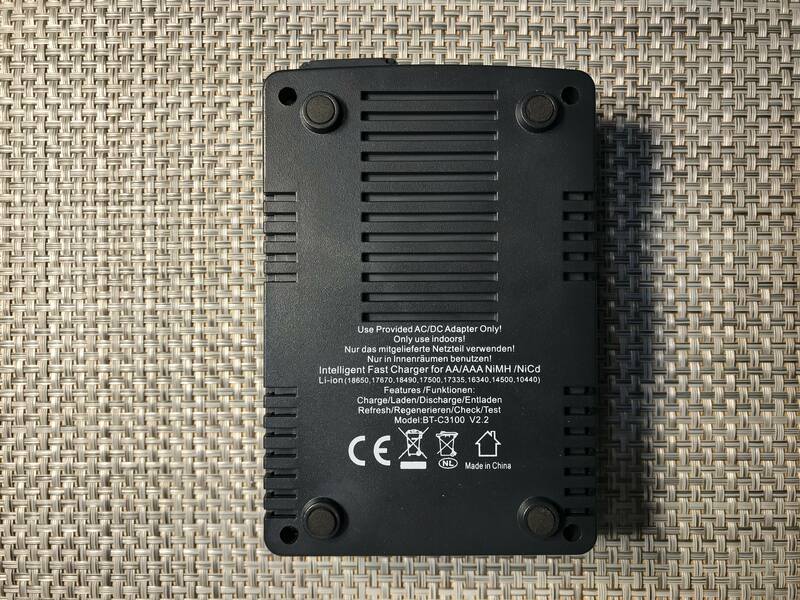 Discharge Mode: Discharge mode is used to reduce memory effect, The rechargeable battery is discharged to a preset battery voltage (0.9v for Ni-Cd & Ni-Mh, 2.8v for Li-ion batteries). Once discharge is finished, total accumulated discharging capacity is displayed at mAH display mode. 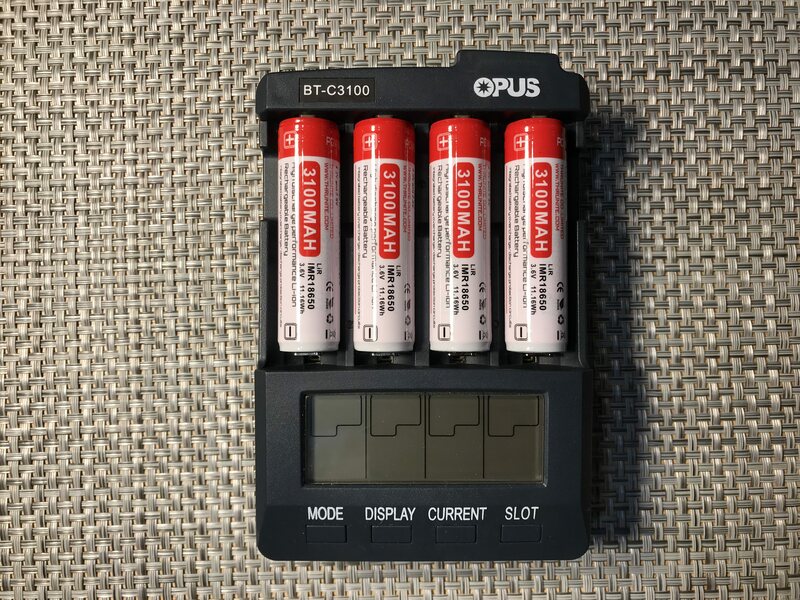 Test mode: Checks the present capacity of a rechargeable battery. 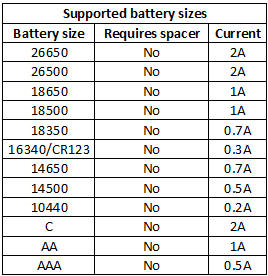 The maximum capacity is determined by discharging the rechargeable battery after it was fully charged. 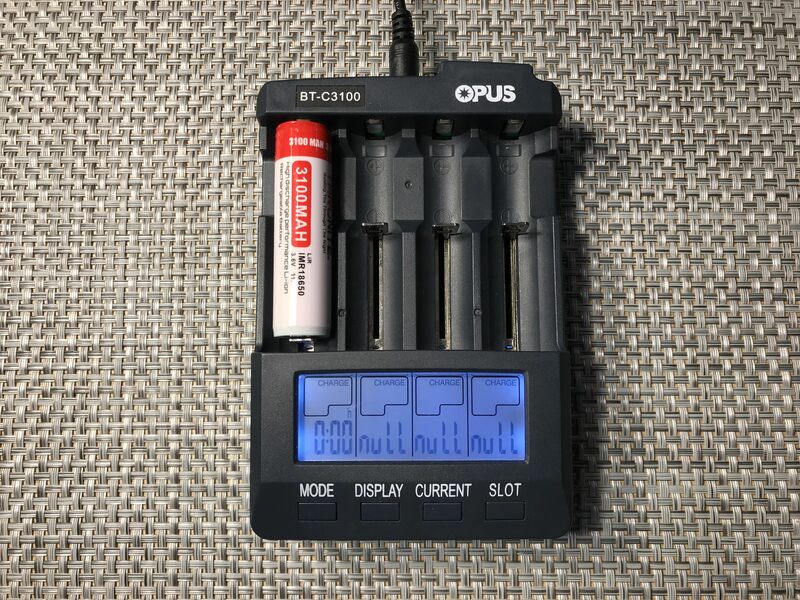 Quick Test mode: The charger will analyze the dynamic internal battery resistance by applying a load and the current reading is referred to the voltage drop detected on the battery. 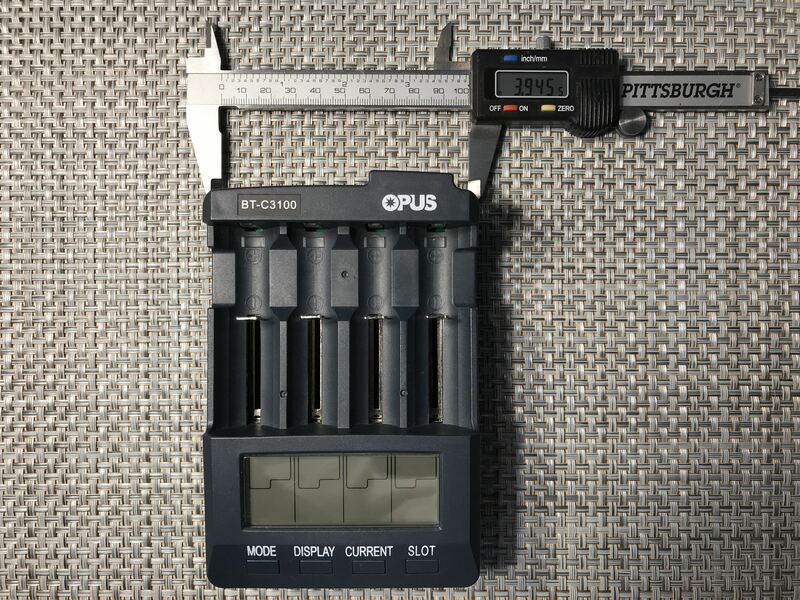 Within 10s, the tested battery resistance will be displayed in the unit of milliohm. 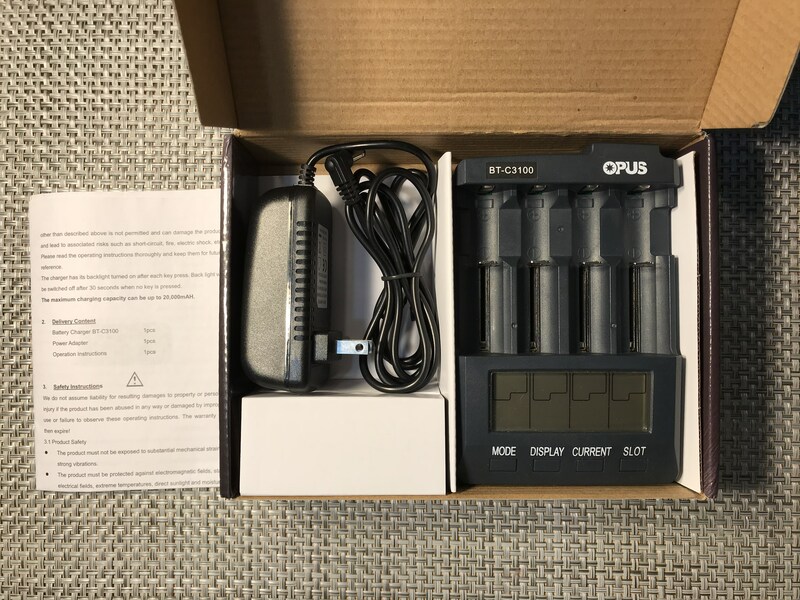 The Opus BT-C3100 V2.2 is a great all around charger option for all those who want to charge multiple cells at a time and for those who want to test the capacities of their cells. 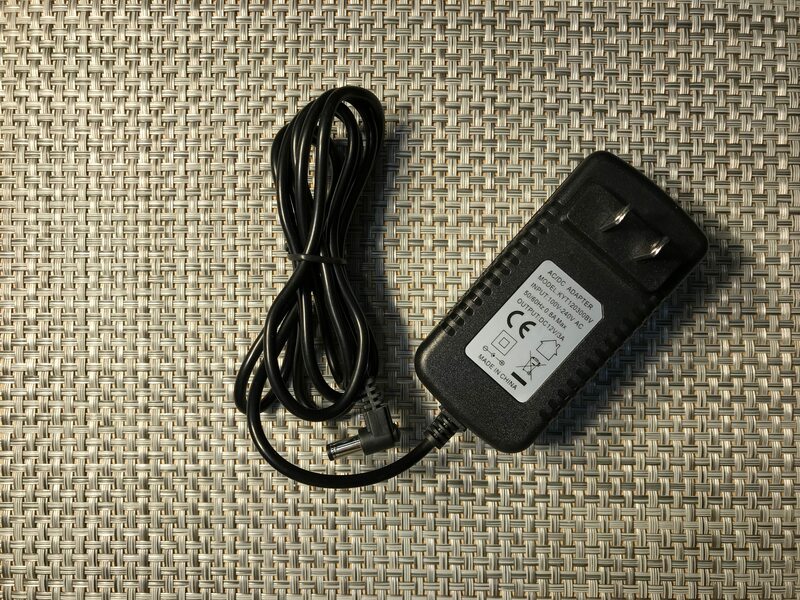 This charger can be used by anyone with any experience level due to the simplicity of the operation of the device. 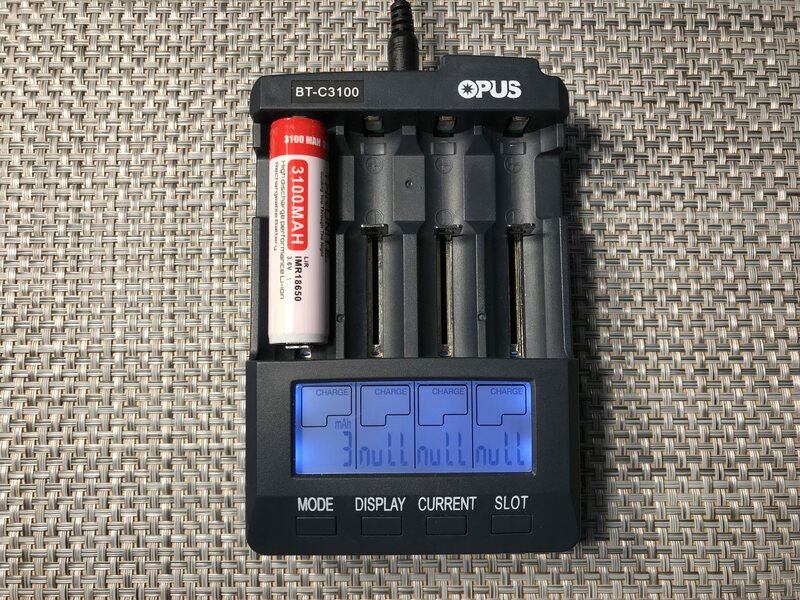 My favorite aspect of this charger is its ability to discharge your cells to get the exact readout of mA to see if your cells capacity is infact true to what the label says. 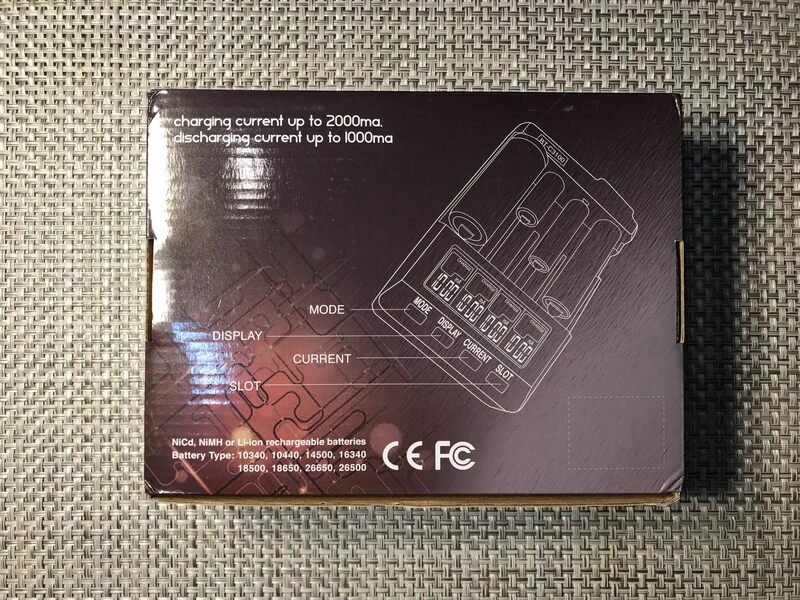 The charger also fully charges all cells to a even voltage of 4.2 volts and trickle charges them to keep the cells topped off if you leave them on the charger after they are done charging. All in all I highly recommend this charger to anyone who wants a well built, multi mode charger that will act true to its specifications. Good write-up and review. Thank you.